The Bays are the newest addition to the golf and entertainment experience at Mozingo Lake Recreation Park. 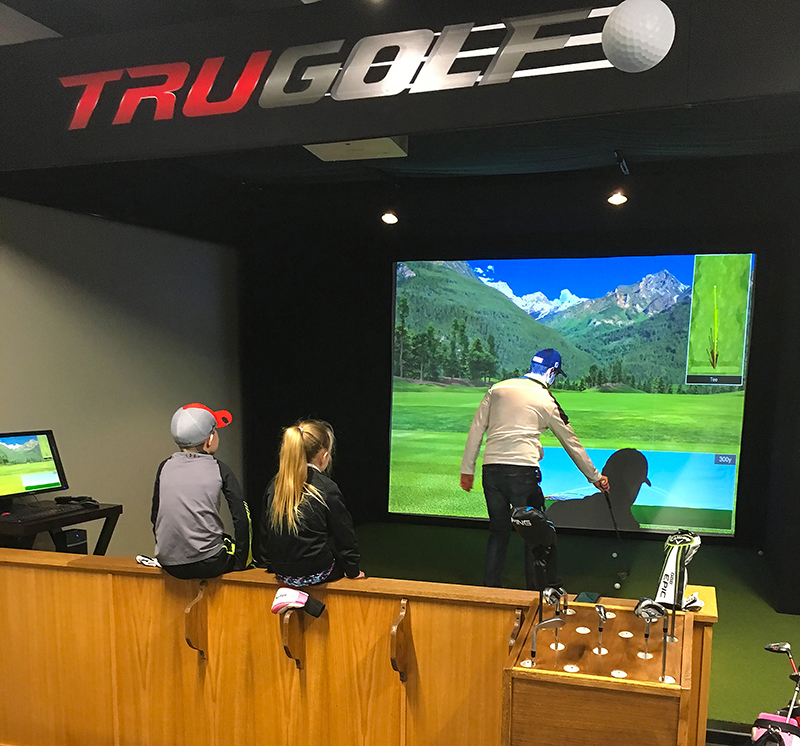 Two premium indoor commercial golf simulators now make golf a year round sport featuring TruGolf technology. Available for rent by hour, the Bays provide a fun experience for the avid golfer or the casual outing with friends. Simulator features include 63 world famous golf courses, an integrated swing analyzer, practice facilities, driving range, games, and online tournaments on a 174″ screen with a Bose sound system. Screens are multi-functional and can be used to make sure your group doesn’t miss the “big game”! The Bays are available for rent each day from 7:30 a.m. until 6 p.m. After hours reservations are available by contacting the Pro Shop. Corporate retreats and all day rentals are also encouraged to call the Pro Shop for available rates. Hours subject to change after opening of William Coy, Mozingo’s very own restaurant. The Bays will feature food and drink service in this area.